This fall I established the “Moving Forward On Your Own,” charitable gift fund, which benefits widows and their families. Proceeds from the sale of my financial guidebook for widows go to this fund to bless women who are surviving spouses and their children. 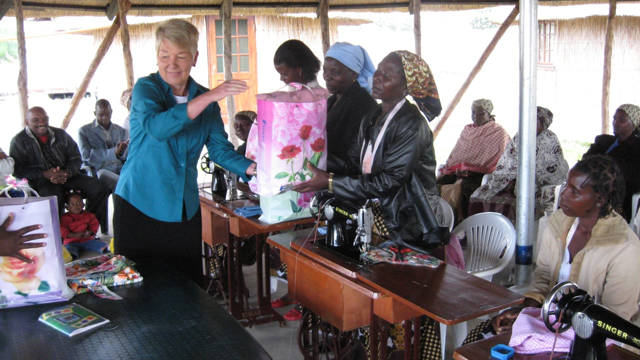 The first grant from my “Moving Forward on Your Own Fund” will purchase three treadle sewing machines for widows in Africa. They will learn to use these machines to sew for themselves and their children. Plus, they will make items to sell, to support their families. Miriam Neff, the founder of Widow Connection (www.widowconnection.com) is shown in this picture. Some day I hope to accompany Miriam on one of her trips. This year I’m also making a second grant to provide a partial scholarship for a new widow to attend Camp Widow in 2012. (www.campwidow.com). At this time all profits from the guidebook go to my charitable gift fund. As a widow myself, this is a highly gratifying way to “invest” money . . . and certainly better than simply buying stuff! Kathleen M. Rehl, Ph.D., CFP® is the owner of Rehl Financial Advisors, of Land O’Lakes, Florida, providing financial guidance for widows in transition. 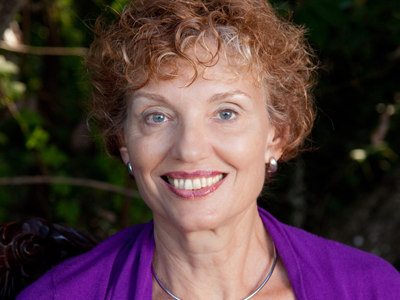 She authored the award-winning, Moving Forward on Your Own: A Financial Guidebook for Widows. Kathleen is frequently invited to speak at regional and national events. Her website is at www.kathleenrehl.com.